Treating people with kindness is indeed a wonderful legacy to leave behind. Unlike what is happening around us, how we behave is 100% within our control. We have all had times when our patience is put to the test and we lash out at loved ones, customer service agents, or co-worker. People, who through no fault of their own, happen to be in the wrong place at the wrong time and endured our wrath. It can feel empowering or liberating, in the moment, but oh what a ripple it leaves behind. We get hurt and hurt others, who in turn hurt others, and so on. It matters how we treat people, whether we are aware of it or not our own self-esteem is influenced by how we treat others. That ripple effect will eventually find its way back to us. The energy we put out is what will come back to us. Anger and venom will bring us more anger and venom. Judgment and ridicule will find us being judged and ridiculed. A vicious circle of negativity ensues. And we have the power to change our experience, to bring more caring, kindness, and love into our lives by being those things. It isn’t easy to practice sometimes but remember the ripple and make the effort to spread a legacy of kindness. Laura Rowe is an Intuitive Strategist & Spiritual Teacher at The Vital Spirit. 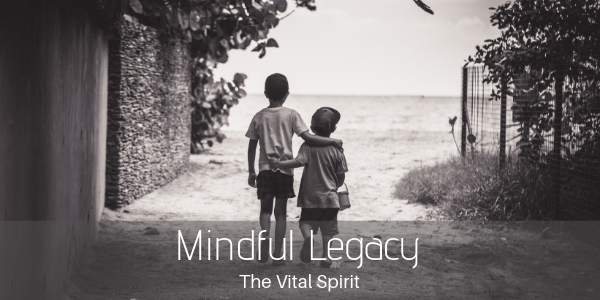 Living in Portland, Oregon, Laura founded The Vital Spirit, an entity that seeks to be an instrument in the ongoing shift in human consciousness. She has a background in business operations, a master’s degree in organizational management, and she currently serves empaths and lightworkers who are living their Light in their livelihoods, relationships, and communities.